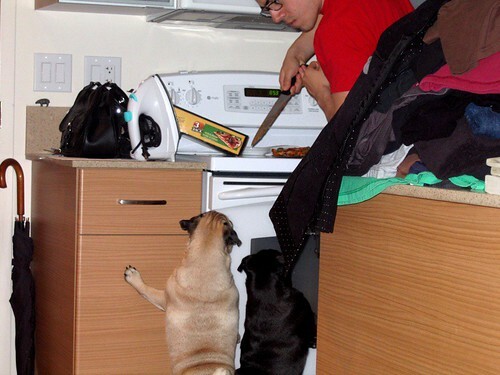 Love: Keeping your dogs away from your food. | Separated by a common language. Love: Keeping your dogs away from your food. Love the new title, header and look…! Winston is always skeezing our eats. Srsly. It’s like if we didn’t constantly stab him he’d eat the whole apartment! Awww – not even one little bite?